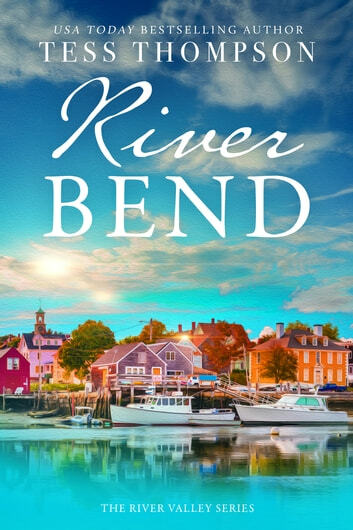 A single mom in need of safety accepts help from a mysterious recluse in this small-town romance by USA Today bestselling author Tess Thompson. Annie Bell just wants to do the two things she loves: cook and care for her young son. 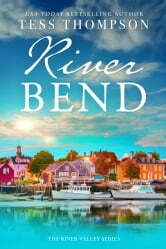 So when she lands the role as head chef at a new restaurant, she fails to anticipate how quickly things change as her talent for cooking puts her quaint hometown on the map. Amidst a flurry of publicity, Annie finds herself back in the sights of the abusive ex-boyfriend she thought she'd left behind. He wants nothing more than to make Annie pay, and she knows his threats are more than empty promises. Reluctantly, Annie accepts the help of a handsome, wealthy recluse, hoping to ensure the safety of her little family. But things aren't always as they seem, and as Annie ultimately learns, her would-be hero has a dark past of his own. This is the first book I’ve read from this author and this has been a nice experience so there will be more. Enjoyed the story and had a happy ending. Not a page turner but characters were interesting. Drama and complicated romance and probably most importantly lots of wonderful friendships make this a very enjoyable read. I enjoyed the author's writing style....I just wanted the book to go on foreve. LOVE IT!